Hi! I’m Ashley Schor, owner of Bead It! I opened in 2002, have a passion for teaching others, love treasure hunting, and am in love with designing spaces that help creativity thrive! I have been in this industry since I was a kid, my family travelled doing trade shows. We lived in a converted bus-Motor home and I have visited 40 states, over 1000 US cities, and done some out of the country traveling and buying for my store as well! I was born in Austin and the building that my store is located in is very near and dear to my heart. 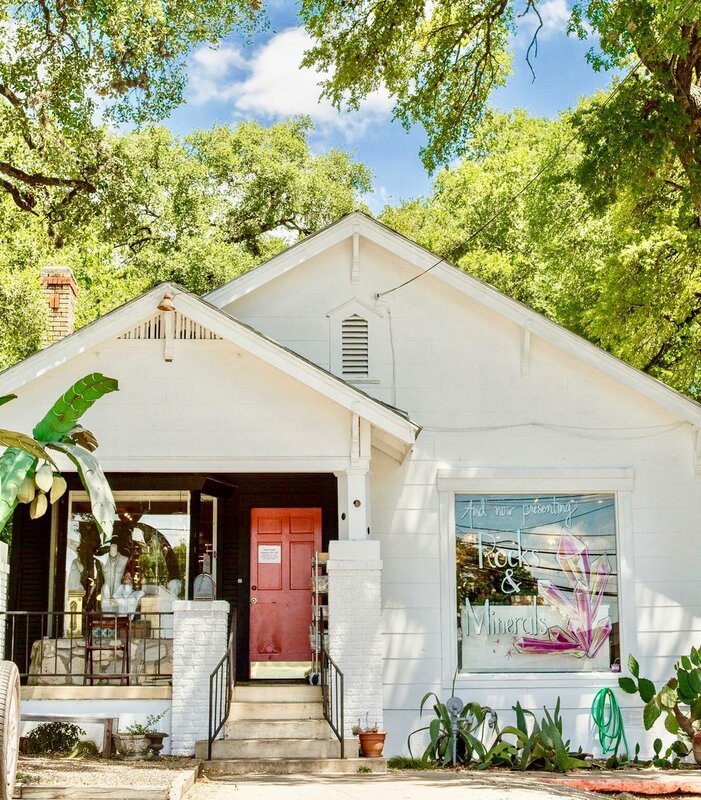 An old house from the 1930’s- we are one of the only old home businesses left in South Austin. 5 rooms of complete creative magic- we teach classes, host parties (yesss… bring the wine! ), fix and restore broken jewelry, create custom jewelry pieces for individuals and events, work with local movie and theater crews, and are an overall unique bead store. As a native Texan, I was taught to serve others with big, overflowing heaping spoonfuls of kindness and excitement! I invest, grow, and learn the most from my amazing teammates! I pay my staff $12-$20 an hour, provide them with commission bonuses, and a portion of every class and party sales goes directly into their pockets. When you support us… I assure you- you are supporting a community of artists who work hard to uplift the creativity and spirits of those who shop with us! While my roots are in old antique stores, flea markets, and thrift stores, I have a lovely collection of stone beads, am obsessed with our selection of chain, brass, and copper items, and am always on the hunt for treasures that will keep you inspired! Hope to see ya round the shop!